The global security and surveillance industry is expanding at a massive pace and is transforming from legacy CCTV surveillance systems to fully digital, advanced network-based video surveillance systems. Historical shipment data reveals that over 2 bn security camera are operating across the world at any given time and the numbers are constantly rising. With this exponentially rise in camera numbers, the practice of making use of video data for effective surveillance is also rising. However, owing to the manual, error-prone, and resource-intensive process of surveillance, security managers are increasingly looking into ways of automating security detection and make better use of video data gathered from surveillance cameras. This need has birthed the video analytics technology, an automated, accurate, and efficient way to transform video content into actionable data about events captured on an incessant manner by video cameras. Owing to the limitless number of areas that video analytics can benefit, including the core field of surveillance and areas such as crime detection, prosecution, and prevention, to more specific areas such as smart transportation, marketing, and gaming, video content analytics is increasingly becoming a mainstream technology. In the next few years, the market is expected to witness expansion at a massive pace and a significant rise in areas of application. The video content analytics market is expected to witness the rise of many new companies and advanced solutions, leading this novel technology to the path of maturity on a global front. With a vital role to play in the improvement of business intelligence and warranting public safety, the premium technology that is making a mark in the video content analytics (VCA) market is commonly adopted today. The intensifying application of the VCA technology in various domains could lay a robust foundation for a lasting progress of the global market. The most crucial application of VCA is the utilization of real time analysis for the conversion of simple data into actionable insights. As per different categories such as application, software, and architecture, the global video content analytics market can be critically segmented to help the interested parties comprehend the overall progress of the market and make informed decisions. The report further helps to analyze the video content analytics market based on geography by presenting the forecast and historic revenue figures of different regions and their countries. The analysts have drawn a clear competitive landscape of the market by extensively studying the core competencies and strategically profiling the key players in the industry. Amongst the popular growth drivers, the international video content analytics market is predicted to count its advancement on the aggressive adoption of network based video surveillance. The global video content analytics market is also anticipated to take advantage of the rising demand for security products. Besides this, there is an elevating concern about security not only in the residential but also commercial sectors. Companies prevailing in the industry are expected to leverage the opportunities birthed from such growing concerns. Physical security has not been able to largely impress its consumers, owing to which they have lost confidence and reduced their reliance on it. The VCA technology, on the other hand, has become immensely popular by improving its adoption significantly and more importantly, at a decent pace. The VCA systems have been proven to be highly effective in increasing the value of operations, safety, and security when integrated with different software such as detection or recognition software. This has tremendously driven the global VCA market with extensive implementation in sensitive areas such as intrusion detection, motion detection, traffic management, and facial detection. More opportunities are expected to arise from sectors such as retail and business intelligence, which require video analytics. Moreover, the network and IP video surveillance cameras are being made available in the market at declining prices. This is also deemed to considerably contribute toward the growth of the world video content analytics market. The North America region is anticipated to take the lead in the world video content analytics market in terms of share for the forecast period 2017–2025. The analysts foresee the region to rise at a healthy CAGR. The Europe video content analytics market could register a double-digit CAGR during the course of the forecast period. Asia Pacific is also predicted to advance at a towering CAGR on the back of a faster growth propelled from a large population base and several infrastructure projects. The major geographies listed under this region are India, China, Japan, South Korea, and Rest of Asia Pacific. The global market is foretold to stretch its expanse also in the Middle East and Africa region. 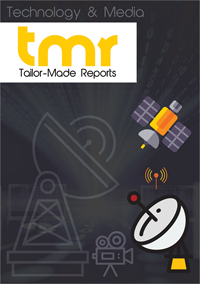 Out of the key players existing in the international video content analytics market, Cisco (U.S.), ADT security (U.S.), HikVision Digital (China), Avigilon corporation (U.S,), Verint Systems (U.S.), Mobotix (Germany), VCA Technology (U.K.), Bosch security system (Germany), and Allgo Vision (India) are envisaged to make their presence known. The competitive scenario of the global market is extensively studied in the publication so as to help businesses analyze the strategies, mergers and acquisitions, and other important aspects of the top players in the industry.